Global warming and its impact on our planet is no longer a niche issue. Developments in the past few years have made it evident that this matter concerns us all. This winter’s polar vortex devastation has given a first-hand experience of changing climatic conditions to common citizens as well. Mindful citizens want to counter the process of global warming and the worsening environmental conditions but don’t know where to start from. If you are one such citizen, we are going to suggest a simple and easy-to-take measure that can yield substantial results – installing energy-efficient lighting. According to one study, even replacing a single incandescent light bulb with an energy-efficient variant in every US household can save up to $600 million in energy costs every year. It will be better if we quickly review all the benefits related to the use of energy-efficient lighting fixtures. Using LED bulbs is one of the energy-efficient lighting options. An LED bulb is six to eight times more efficient than conventional bulbs. A good quality LED fixture can continue to work up to 100,000 hours, given that it isn’t damaged. Any residential or commercial owner with an ideal wiring setup and LED lighting fixtures can save a significant recurrent replacement cost. Besides giving exceptionally extended operational life, energy-efficient lighting also operates on extremely lower power ratings. The equivalent of an incandescent bulb of 15W in LED range can give the same luminescence on the 2W rating. As a result, homeowners can save up to 90% in their lighting expenses. Emission of greenhouse gases is the one major reason why we have reached these aggrieved environmental conditions. The replacement of every traditional lighting fixture with an LED can cut down your own greenhouse footprint on the planet. By replacing one incandescent bulb with an energy-efficient equivalent, one can ensure that half a ton fewer greenhouse gasses are produced throughout the year. The reduction in greenhouse emission from the use of LED bulbs is due to their eco-friendly manufacturing and lesser energy requirements. 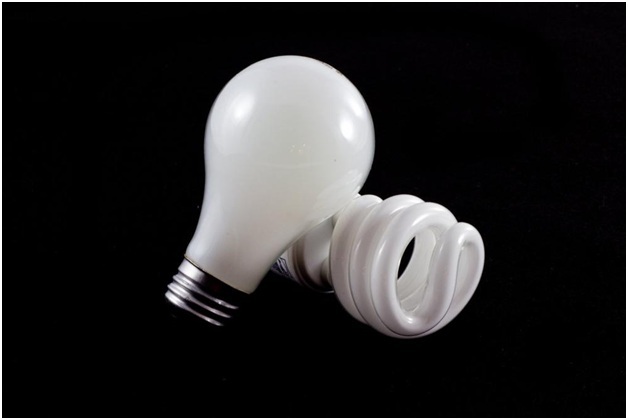 Besides providing expenditure and environmental reliefs, energy-efficient bulbs are also a more functional option than conventional bulbs. They are free of the filament and can be housed in any type of fixture casings. Moreover, their illuminations can be adjusted according to the function required in a particular setting. From lamps to lights controlled through dimmers and smart devices, the energy-efficient light source can be fitted in every lighting fixture. Energy-efficient lighting fixtures also exhibit greater durability as compared to regular bulbs and lights. They are more resistant to bumps and jarring since there is no filament in them. Moreover, many energy-efficient light fixtures come in polymer/plastic coverings, making them more resistant to general wear and tear. In any outdoor installation, energy-efficient lights fare well when compared to traditional filament-based options. RHK Electrics is a top-rated provider of electrical services in Cypress, TX and nearby areas such as Katy Tx, Magnolia TX and the Woodlands TX. The company offers dedicated LED services to all those home and commercial users who want to adopt an energy-efficient and eco-friendly lifestyle.